Penalties for DWI in New Jersey are very severe including a lengthy driver’s license suspension, fines, alcohol and drug classes, insurance surcharges, and even jail time in some circumstances. In addition, a DWI conviction stays on your New Jersey driver’s history abstract forever and can not be expunged. If you or a loved one has been charged with driving while intoxicated in Morris County, New Jersey, contact an experienced Morristown DWI defense lawyer for help. Travis J. Tormey is a criminal defense and drunk driving (DWI) attorney who has been representing clients throughout New Jersey for years charged with alcohol-related offenses including refusal to submit to a breath test, driving under the influence of drugs (DUI), and DWI in a school zone in Rockaway, Morristown, Madison, Dover, and Mount Olive. In fact, Mr. Tormey is one of the few New Jersey attorneys who are certified Alcotest 7110 operators, the breath testing device used throughout the state to prosecute drunk driving cases. As a result, Mr. Tormey knows the components of the machine, how it works, and if there are any issues with the functioning of the breath testing device. This knowledge and expertise can be used to attack the reliability of the breath test result in your case. Mr. Tormey is available immediately to assist you at (908) 336-5008. The initial consultation is always provided free of charge. Our DWI defense team is composed of a former New Jersey DWI prosecutor, an attorney who is certified on the Alcotest 7110 breath testing device, and a retired NJ State trooper who is certified not only on the breath test machine but also in the field sobriety tests. There are two categories or tiers of penalties for first offense DWI in New Jersey. The legal limit is .08% Blood Alcohol Content (BAC). The first category is the lesser of the two for a BAC between .08% and .10%. The second category is for a BAC of .10% or higher. The penalties for a second offense are higher than a first offense, and there is no disparity of penalties for different levels of BAC. 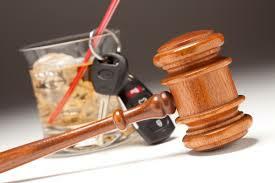 Our experienced Morris County DWI defense lawyers at The Tormey Law Firm are available immediately to assist you with your DUI case in Roxbury, Parsippany, Denville, or elsewhere in New Jersey. Contact our offices anytime for a free initial consultation at (908) 336-5008. We are happy to talk to you about your case.